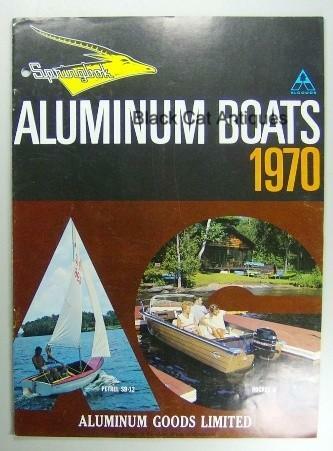 Up for sale, we are offering an original, 1970 Springbok Aluminum Boats and Canoes sales brochure/booklet. This is a used sales booklet from a local marine and small motor business with valuable information, boat specs and great vintage photos. Condition: This manual is used with light soiling and wear on the page edges. Please enlarge the photos to determine the condition of the guide. Size: The booklet measures approximately 11.25" long by 8.25" wide.